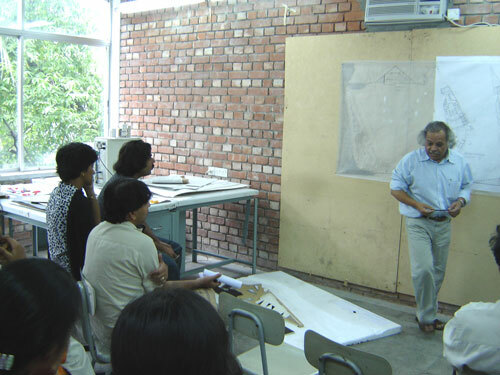 The jury week of spring2005 semester in the architecture school of the University of Asia Pacific, Dhaka, has been started today. Today it was the jury session of level2-term2 students. They presented an elementary school design project. The head of the school Arc. Abu Sayeed Mustaq Ahmed, Arc. Samsul Wares, Arc. Asrar Ahmed, Arc. Shoeb Bhuiyan, Arc. Shaila Joarder and many others were present as the jurors. The jury week will be on till 8th September, holding the final juries of different level and terms.